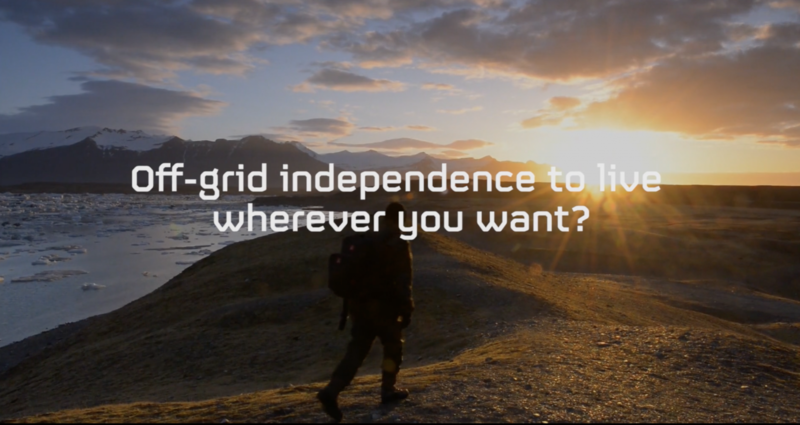 The 5th Element is a sustainable off-grid utility popup providing electricity, fresh water and sewage handling wherever you need it – even completely remote. It enables affordable accommodation for festivals, faster relief for disaster zones, improved living conditions for developing regions and temporary housing for students… The list goes on. The 5TH ELEMENT is compatible with Poshtel PopUp accommodation units and is up and running in a matter of hours – anywhere you want to pop up. Ideas, numbers and drawings: Here, you’ll find pretty much everything about The 5TH ELEMENT. Have a look once in a while — it keeps growing just like we do. Brand book, logo, fonts and branded content – everything about our brand and identity is right here. Then please visit our FAQ. If you can’t find the answer you’re looking for, send us your question and we’ll do our best to help. As of Q2 2018, we expect to be able to produce and sell 10-20 units per month. – Make the smallest possible environmental foot print and educate our users about environmental impact. – Constantly evolve and develop technologically. – Optimize our solution on three parameters; efficiency, cleanliness, and greenness. – Build a global top tier utility company. Management consultant and Business Developer specialized in strategic partnerships, market adaptations, and development. Belgrade-based lawyer with 3 years in startups on different positions – COO, Head of Legal, Project Manager etc. Loves biking and is currently writing a book. Chairman in 5TH Element and POSHTEL International. O Koo began his career at Merrill Lynch as an investment banker, and later, joined General Electric’s Corporate Audit Staff where we spent a number of year on finance, operation, and M&A assignments globally cross various GE business units. At 29, Koo was named Head of P&L, leading GE’s Asia Pacific Lighting Business, and was instrumental in its business turnaround. Koo later went on to become executive advisor to the Dow Chemical Company, Joint US Collaboration on Clean Energy, and co-founded various startup in China including Vibin, Justgrapes, and Infinity Inc. Engineer at Rambøll with +20 years experience. Idealist and fire starter. Naive, happy and persistent. Father of four and carless commuter between Hellerup and the Poshtel PopUp prototype in CPH harbor. Creative filmmaker born and raised in the advertising business. Easily exited by startups with potential to disrupt, and a big foodie who enjoys cooking for friends and family. Prototypically introvert Copywriter and budding Communication Strategist enjoying the bossless and productive life of a freelancer in Copenhagen.